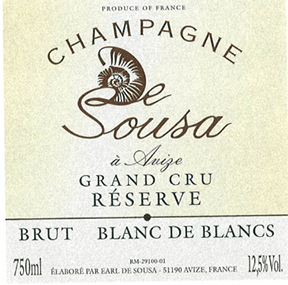 The history of De Sousa Champagne begins several generations ago when Manuel De Sousa, a soldier from Braga, Portugal, came to France to fight with the Allied army during World War I. He went back to Portugal after the war was over. Yet economic times were so tough at home that he decided to return to France with his wife and newborn son, eventually settling in Avize. As fate would have it, Manuel passed away at age 29 from a brain tumor. Manuel's son Antoine later married Zoémie Bonville, the daughter of grape growers in Avize. So was born the De Sousa estate that, since 1986, has been managed by Antoine's son, Erick de Sousa. Erick farms 9.2 hectares of vines spread over 42 plots. 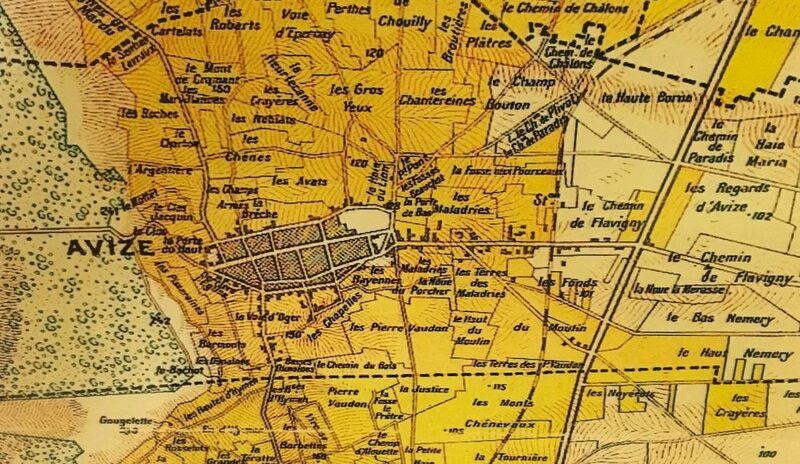 Most are in the vicinity of Avize (there are old vine parcels in Avize, Le Mesnil-sur-Oger, Cramant, Oger and Chouilly) but he also owns vineyards in the Montagne de Reims (Äy and Ambonnay mainly) and has small holdings in the Vallée de la Marne (Mardeuil) and the Côte de Bar (Essoyes). Three quarters of the De Sousa vines are over 40 years of age. Some are 60 and 70 years old. Conversion to organic methods began in 1989, just three years after Erick took over from his father. Yields from these old vineyards are incredibly low. In 1999, de Sousa began farming his land biodynamically, lowering yields even further. The vineyards are plowed with a horse to help prevent the soils from becoming compact and to promote healthy insect life underground. Because of this labor-intensive work with the soils, the vines often descend up to 10 or 12 meters. These deep roots extract salts and trace minerals like potassium and magnesium from the chalk. This gives additional minerality to their champagnes. The grapes are harvested by hand. Erick also likes to harvest as late as possible because he feels the extra maturity makes his Champagnes richer, purer and longer. 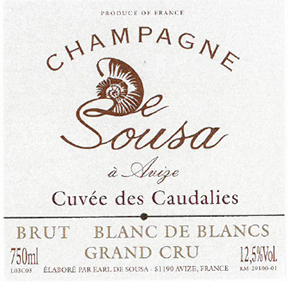 All of De Sousa's Champagnes are fermented using indigenous yeasts. They go through full malolactic fermentation. Many of the wines are fermented and aged in enamel-lined steel tanks. 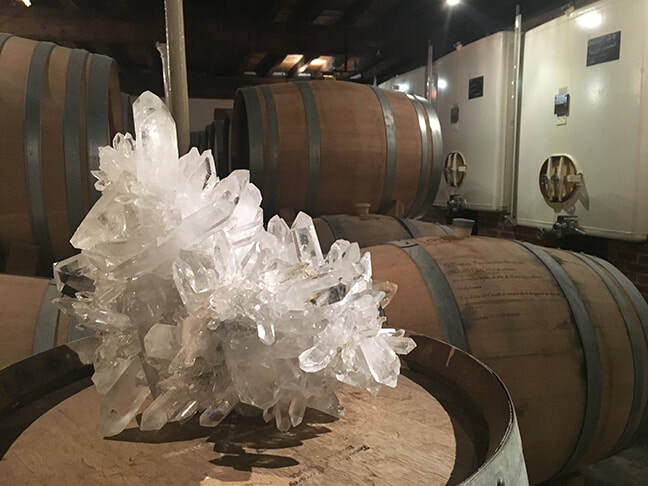 Since 1995, however, he has fermented the wines from his oldest vines in 225-liter oak barrels. In the cellars, riddling is still done by hand, along with an extra shaking of the bottle on its lees deposit, which provides even greater concentration. Production stands at 70,000 to 75,000 bottles per year. 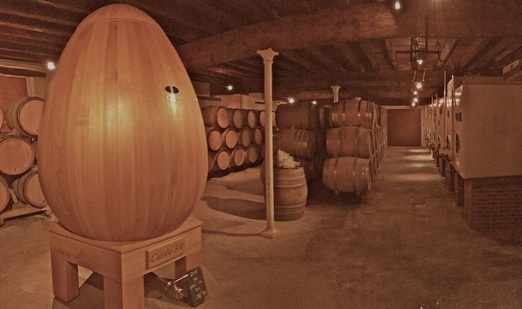 Some releases are aged in tank, others in barrel and others in wooden eggs. 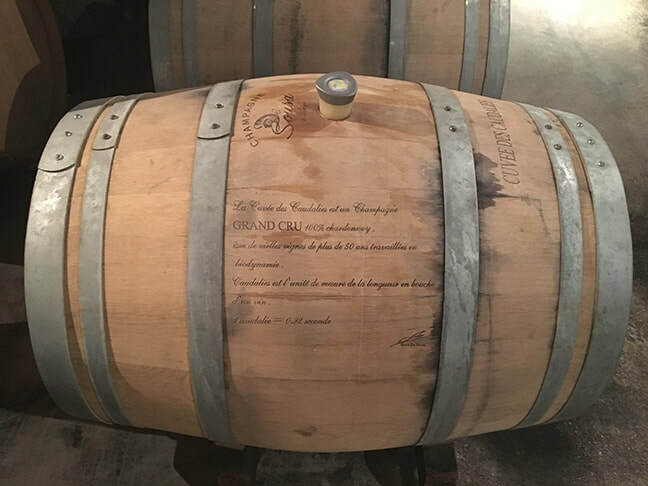 Mychorize Grand Cru: (100% old-vine Chardonnay from Avize and Oger, harvested in 2010 and fermented in 225-liter oak barrels. Disgorged April 2014 with a 3 gram dosage. The name is a reference to between vine roots and underground fungi, and the plots are plowed solely with a horse, which enhances the prolification of microorganisms in the soil. This champagne bursts with aromas and flavors of green apples, pears, and citrus fruits and plenty of minerality on its graceful finish. 50% Chardonnay, 40% Pinot Noir, 10% Pinot Meunier. A blend of several vintages, fermented in enamel-lined tanks and with full malolactic fermentation. Elegant and floral nose is also very expressive and intense, revealing a certain finesse. There's a touch of mimosa, followed by citrus and ripened fruit. On the palate, the Champagne's bright freshness is complemented by notes of warm honey. Grand Cru100% Chardonnay. A blend of two or three different years and with at least 30% reserve wine aged in barrel. From grapes grown only in grand cru vineyards of the Côte des Blancs. The chalky soil accentuates this Champagne's minerality, lending it finesse, elegance and vivacity. Its intense nose is evocative of dried pineapple, fresh roasted coffee, eucalyptus and lemony notes, as well as a very expressive floral character. The palate is very round with honeyed accents. The finish is long and delightfully refreshing. (Grand Cru NV100% Chardonnay from grand cru vineyards along the Côte des Blancs. Caudalie is a term used to measure the length of a wine's finish, as in one caudalie equals one second. From vines over 50 years old, this cuvée is vinified entirely in oak barrels (15% of which are new) and blends five or six vintages). Pale gold color with green highlights. The nose is elegant, delicately punctuated by well-integrated notes of oak. 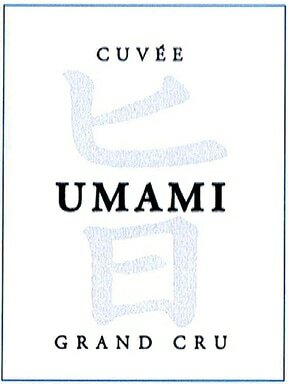 De Sousa Champagne Cuvée Umami Grand Cru 2009: (60% Chardonnay, 40% Pinot Noir, from more than 50 year-old vines from the 3 A Grand Crus, aged partially in oak and with a 2.5 gram dosage): Exotic fruit, lychee, saline, apple, pear, cirus fruits, cherry, cassis, a touch of honey and salted caramel. Very fine texture with tender bubbles that caress the palate. This champagne finishes with excellent length. De Sousa Champagne Cuvée 3A (50% Chardonnay, 50% Pinot Noir from the three grand cru towns that begin with A (Ambonnay, Ay, Avize). With three reserve wines that are aged three years on its lees and given a three gram dosage): Flattering nose with notes of lemon, pineapple and mango, with just a touch of butter. Accompanying flavors include blackcurrant, raspberry and a touch of licorice. The palate-feel is rich and unctuous, yet also fresh and mineraled.